Design for the wild and animalistic at heart. Great pillow to take on an African safari or simply throw on the bed. 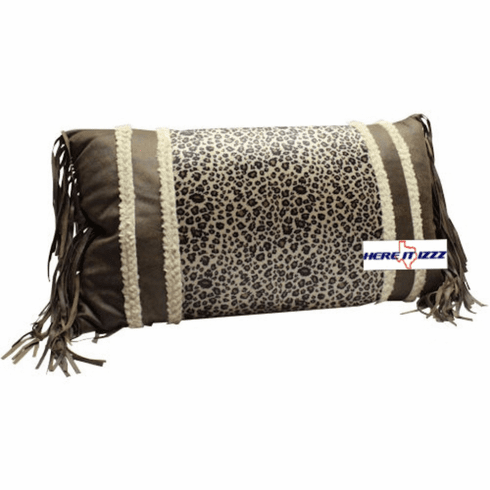 Are leopard pillow is fully Fringed on the ends with a wild print fabric centered. Faux sheepskin trim at the ends beautiful pill.